"Rescue dogs are the best dogs!" Chris Evans is best known for his starring role as Captain America. But, as it turns out, he's a bona fide superhero in real life, too — at least for a sweet dog named Dodger. Evans first introduced his followers on social media to Dodger in a tweet last year, and he’s been a fixture on his feed ever since. 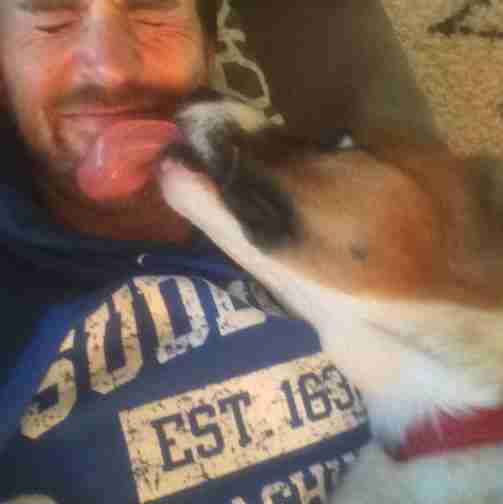 The actor and his pup are clearly the best of friends. 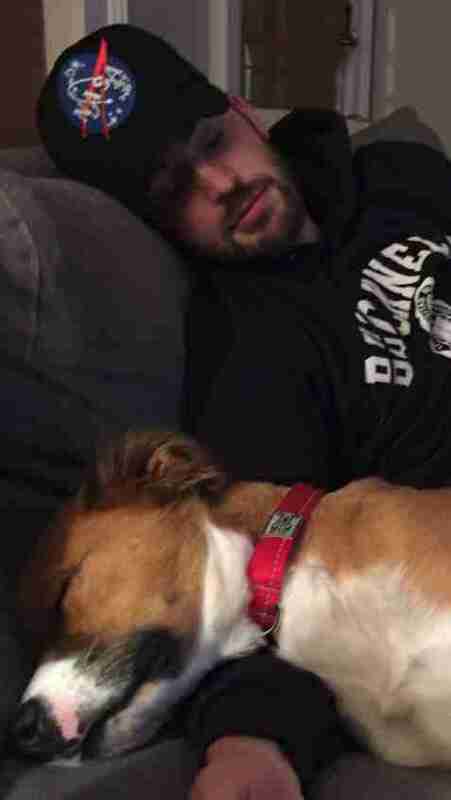 If Dodger looks grateful, it's because he most certainly is. Prior to being adopted, he was just another desperate dog eager to find a forever home, kenneled at a local animal shelter. That's where Evans first encountered him, while on location to shoot a film. It was love at first sight. "This is the moment we met," Evans tweeted. "He was trying so hard to stay seated even though he desperately wanted to get out. I knew right away that he was coming home with me, so I took this video to always remember our first hello." Evans' tweet quickly went viral — carrying with it an important bit of advice for anyone thinking about getting a pup of their own: Adopt, don't shop. "Rescue dogs are the best dogs!!" Evans wrote.